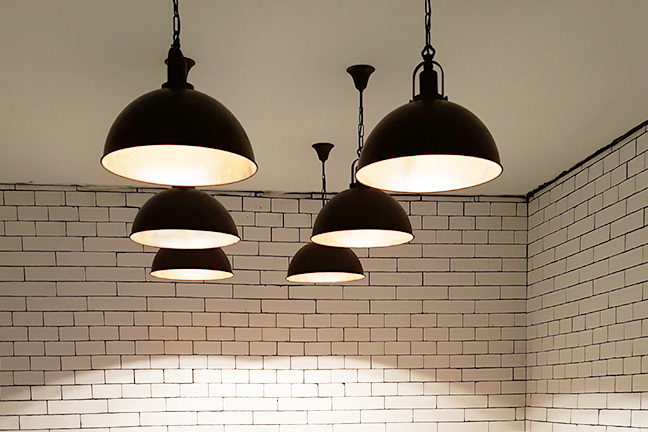 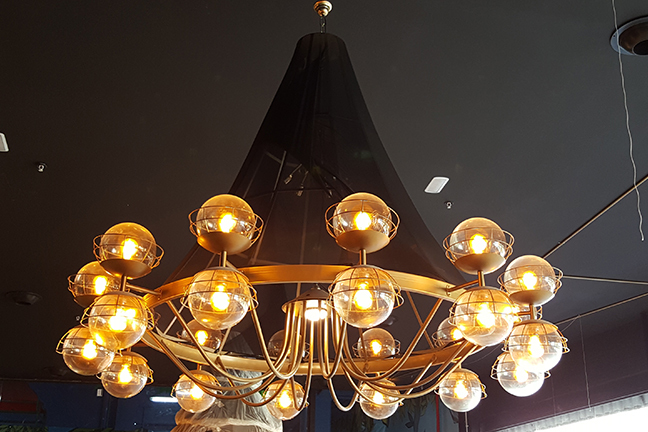 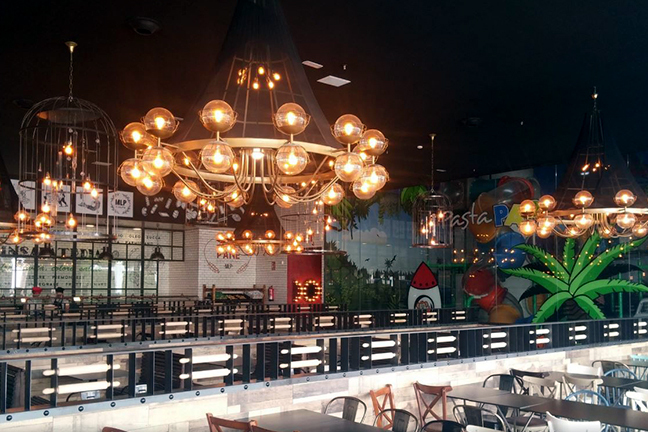 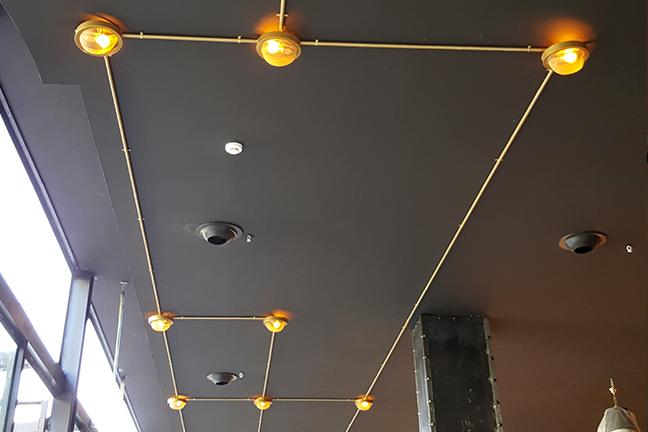 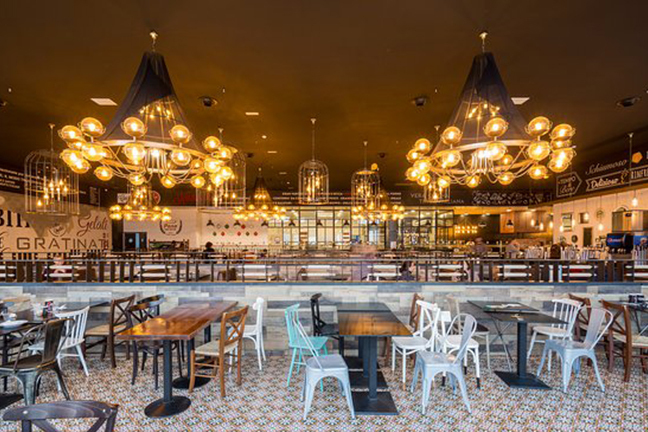 We were commissioned to design and manufacture the lighting for a new restaurant of the Muerde la Pasta chain, in the Bonaire shopping centre in Valencia. 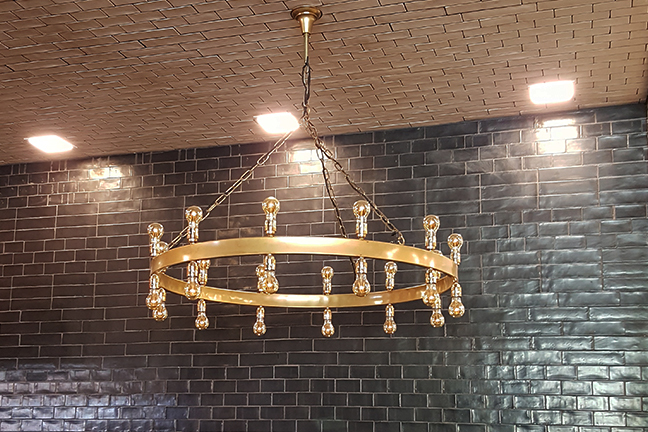 For this restaurant we have designed and manufactured a wide variety of lamps. 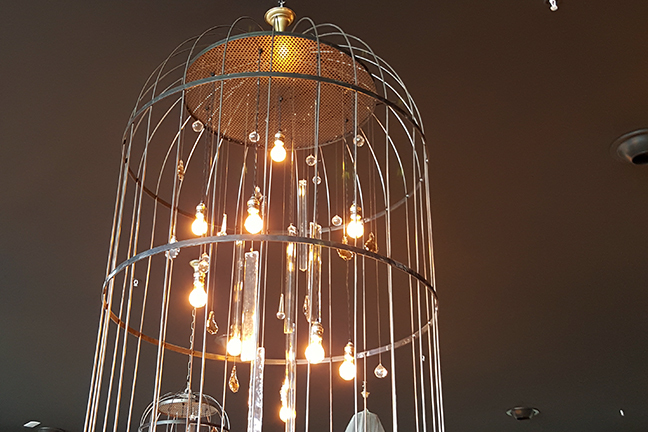 In the dining area we find some large chandeliers with 24 amber coloured glass balls, some large cages with glass beads. 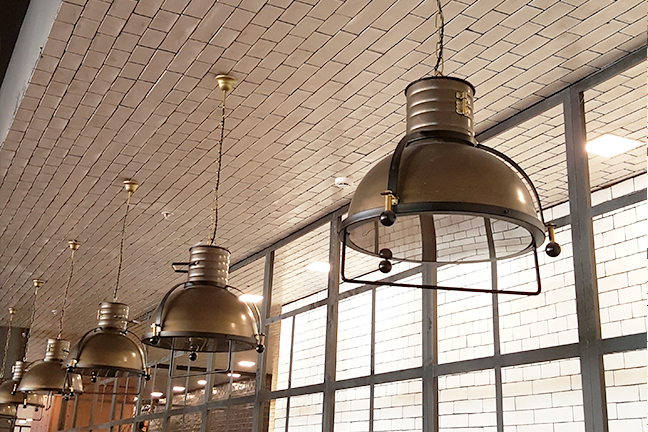 On the side, round ceiling panels connected to each other by a thin exposed brass pipe.